A redesign competition for St. Petersburg's New Holland Island gives the public a chance to look at a space closed for 300 years. St. Petersburg’s New Holland Island is set to get a makeover, thanks to Roman Abramovich’s Millhouse Capital, Darya Zhukova’s Iris Fund and London-based The Architecture Foundation. 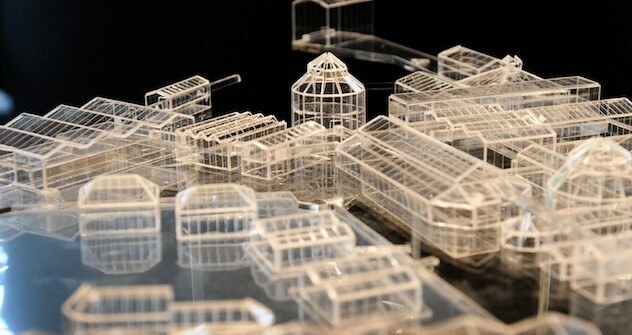 A new exhibit showcasing eight possible designs for the island’s renovation was recently on display in the former Kryukov Barracks, across from the island. Although the exhibit included eight possible designs, only four from the internationally held tender have made the short list –Nikita Yavein’s Studio 44, David Chipperfield Architects, MVRDV and Work AC. The designers that have already been rejected are Rem Koolhaas, Jeremy Dixon and Edward Jones of Dixon Jones, Anne Lacaton and Jean-Philippe Vassal of Lacaton & Vassal, and Yuri Avakumov and Georgy Solopov. Of the four eliminated bidders, Koolhaas is the only one who literally got to the bottom of New Holland – but neglected to fit his design into urban planning codes and, hence, to make his way onto the short list. Reflecting his Dutch heritage, Koolhaas cut new canals on the manmade island – which was formed by the Moika, Kryukov and Admiralty canals dug out in the 18th century – turning a single island into a four-island archipelago. Each smaller island had a unique character and functional purpose: The Trade islet included a retail waterside promenade with fashion shows in historical buildings; the Knowledge and Health islet featured a romantic garden of sculptures, bathhouses in ruins, and a vessel exhibition on Kryukov Canal; the Creativity islet hosted 100 experimental art halls which must gradually snowball into a museum of the century; and finally, the islet of Public Events was intended as a huge exhibition and concert venue. Lacaton & Vassal were eliminated from the tender with their model of a “public culture market.” They intended for a glass dome to cover the island’s vacant space. Muscovites Yuri Avakumov and Georgy Solopov proposed a presentation of “the historic function of storing mast timber” by installing a multi-tiered theater and exhibition complex called Russian Hills on the site of a historic complex of buildings. In turn, Dixon Jones dispensed with eccentric architectural configurations altogether, instead calling upon the investors to build a large exhibition center on the island. As for the four finalists, only Studio 44 adamantly turned its back on new development, suggesting that a broken contour of the architectural ensemble be sealed with a ship grove to commemorate timber yards. In different seasons, a new “coliseum” would be filled with plenty of snow, grass and sand, while a galley-like pool may transform into a stage, ice rink or bathhouse. A villa with a mooring line will be fashioned in one of the corner historic buildings. The interior space of the warehouses has been historically split into sections and can be adapted to diverse functional uses. David Chipperfield also has a vertical layout. The Englishman proposes building on the north side of the island a permanent, multilayered structure that would provide venues for exhibitions, film showings, performances and installations. British sculptor Antony Gormley and German filmmaker Wim Wenders served as Chipperfield’s advisors. The third finalist, Work AC studio, designed “a city within a city” – a triple-layered landscaped structure with a backfill platform (that will host a tourist balloon), an awning between the storage facilities, rooftop greenhouses and pedestrian pathways beneath them. But MVRDV is considered the front-runner. The architecture firm is the only genuine “new Dutch” participant in the tender, and it also proposed the most jovial, kaleidoscopic and flexible design for New Holland. After closing the island’s loop with a low-key architectural space, Winy Maas, Jacob van Rijs and Nathalie de Vries focused on a series of light, temporary pavilions.. MVRDV formulates its island development strategy as “step-by-step growth,” allowing for the development of a new cultural quarter in parallel with restoration works. Investors have already picked up on this idea for an exhibit last week, opening the island to the public for the first time in 300 years. Moscow-based architect Boris Bernaskoni was hired to build on the island lawns and athletic grounds, a campfire site, colored containers for art projects, cafes and shops, and even a vegetable garden where each can grow a turnip for his or her own still-life painting of New Holland.